If you have decided to create a really modern kitchen then fashionable black and white theme could become an ideal solution for you. Thanks to a right combination of these colors your kitchen could seem larger than it is. You could also accentuate the most beautiful elements and make them even more attractive. Below you could see different black and white kitchen design ideas which perfectly demonstrate how amazingly could be such simple combination. 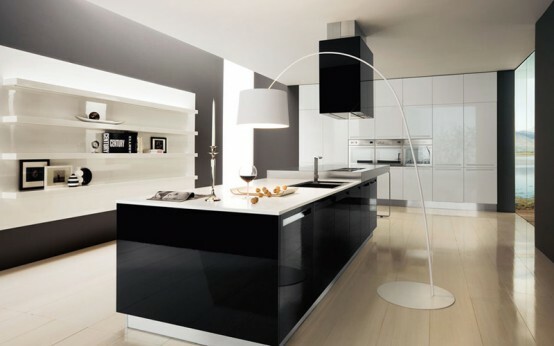 Often contemporary designers choose black color to a kitchen island and pure white for wall cabinets to add elegant touch to the kitchen and to not decrease its visible size.